The U.S. Ambassador to the United Nations criticized Moscow on Aug. 3, for allowing thousands of fresh North Korean laborers into Russia in violation of sanctions against Pyongyang. 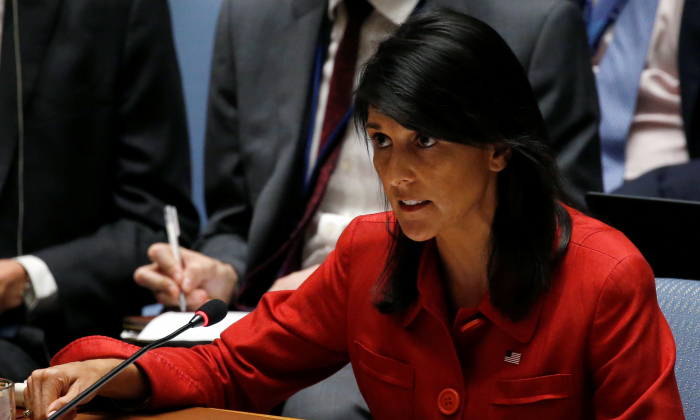 Ambassador Nikki Haley issued the criticism one day after the Wall Street Journal reported that Moscow granted thousands of new work permits to North Korean laborers in violations of United Nations sanctions. Haley’s remarks became public hours after the Treasury Department sanctioned a Russian bank for violating sanctions against North Korea. The bank had knowingly authorized a significant payment on behalf of a North Korean living in Moscow who was sanctioned by the U.S. last year. The day prior to Haley’s remarks, U.S. intelligence officials told reporters at the White House that the threat of Russian interference in the 2018 midterm election was real. American’s intel agencies are addressing the threat comprehensively, the officials said. President Donald Trump spearheaded an international effort to impose stringent sanctions on North Korea in an effort to force the communist regime in Pyongyang to give up its nuclear weapons program. Though significant progress toward denuclearization has been made, the White House has been firm that the sanctions will remain until North Korea completely, verifiably, and irreversibly gives up its nuclear program. Russia denied the Journal report asserting that the work permits were issued before the sanctions to North Koreans already in the country. Alexander Matsegora, Russia’s ambassador to North Korea, said the laborers were allowed to work in Russia until Nov. 29, 2019, as their work contracts had been signed before sanctions came into force, Interfax reported. He said 3,500 new work permits had been issued to workers who had signed contracts in Russia before Nov. 29, 2017, Interfax news agency reported. Labour Ministry records obtained by the Journal showed that a minimum of 700 new work permits had been issued to North Koreans in Russia this year, the paper said. U.N. officials are probing potential violations of the sanctions, which contain narrow exceptions, WSJ reported citing sources. “It’s absolutely clear that Russia needs to do more. Russia says it wants better relations with the United States, so Moscow should prove that by cooperating with us, not working against us, on this urgent threat to all nations,” a U.S. State Department spokesperson told Reuters. The labor prohibition is a part of a broader array of sanctions that are aimed at eliminating an important revenue stream for Kim Jong Un’s North Korea. Most of the money North Koreans earn abroad ends up in government coffers as workers toil in grueling conditions, the Journal reported. In a report released on Thursday by the non-profit research organization C4ADS, it said initial restrictions in China and Russia—where around 80 percent of North Korean laborers are believed to work—appear to have loosened. 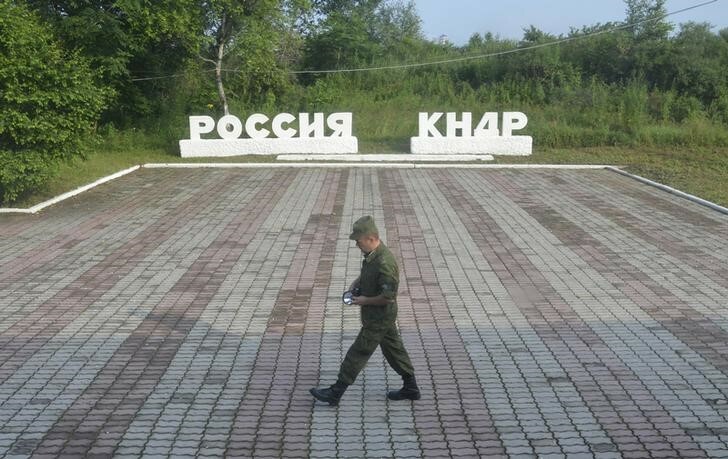 “For a time, both Russia and China appeared to be expelling North Korean workers well before U.N. deadlines, but more recent reporting suggests that North Korea may have again begun to dispatch labor to both countries,” the report concluded. A separate report released this week by the Seoul-based Asan Institute for Policy Studies said between 2015 and 2017 the Moscow-based Independent Petroleum Company (IPC) sold far more oil to North Korea than what was officially reported. Russia’s ambassador to North Korea on Friday also denied Moscow was flouting UN restrictions on oil supplies to North Korea, Interfax reported. IPC was sanctioned by the U.S. Treasury Department in June 2017 over its trade with North Korea, and in December 2017 the U.N. imposed its strictest limits on North Korean imports to date. In September last year, Reuters found that at least eight North Korean ships that left Russia with a cargo of fuel headed for their homeland despite declaring other destinations, a ploy that U.S. officials say is often used to undermine sanctions.